I received a phone call from Larry Dupuis of the Milwaukee Office of the American Civil Liberties Union in November of 2003. He described a Wisconsin resident who had contacted the ACLU after receiving a PrePenalty Notice from the Department of Treasury. In severe language, this form accused this individual of violating the Cuban Assets Control Regulations which were promulgated pursuant to two federal statutes: the Trading With the Enemy Act and the Cuban Democracy Act. In essence, by sending him this notice, the Treasury Department wanted this individual to admit that he had traveled to Cuba and that while there he had spent money in violation of the Cuba Trade Embargo. Technically, any financial transaction between a U.S. citizen and a Cuban national was a violation of U.S. law, no matter how small. If he didn’t respond to the formal Requirement to Furnish Information (RFI), and thereby admit to violating the Cuba Trade Embargo, then he would be fined $10,000. Larry asked me to consider taking on this individual as a pro bono client, and represent him in administrative proceedings before the Treasury Department. The case raised some interesting constitutional issues. There were possible issues relating to a Fifth Amendment right not to be punished for the failure to admit to having spent money in Cuba. In addition, the Treasury Department regulations seemed to provide that the only way to dispute the RFI was to do so in person in front of an administrative law judge in Washington, D.C., an expensive proposition that raised due process concerns. The ACLU was hoping to find a “test case” that would challenge the Treasury Regulations on constitutional grounds. I agreed to take the case. Soon after, I met with my client, a retiree on a fixed income. He was a soft-spoken man, who had gone to Cuba in 1998 on a trip with a church group. While there, he had spent a few days with his fellow church members bicycling around the island and meeting locals. This was a goodwill trip, intended to foster greater understanding between the people of Cuba and the people of the United States. Several years after his return, he received the RFI from Treasury Department alleging that while in Cuba he had spent money that went to Cuban nationals, in violation of the Cuba Trade Embargo, and demanding that he provide further information about the monies spent or else pay a fine. The law in 1998 was clear. Under the statutory provisions and Treasury Regulations that governed all economic transactions between U.S. citizens and Cuban nationals, any travel by U.S. citizens to Cuba had to receive advance approval and a license from the U.S. government, the trip had to be sponsored by a charity or similar humanitarian organization, and, most relevant to my client, the organization that was the sponsor of the trip had to pay all of the expenses of participants (rather than participants spending any money directly while in Cuba). Under the George W. Bush Administration, the travel regulations were tightened significantly,with additional restrictions on family visits, educational travel, and travel for those involved in amateur and semi-professional international sports federation competitions. In addition, the categories of fully hosted travel and people to people educational exchanges unrelated to academic coursework were eliminated as permissible travel to Cuba. The Bush Administration also cracked down on those traveling to Cuba illegally, further restricted religious travel by changing licensing guidelines for such travel, and suspended the licenses of several travel service providers in Florida for license violations. More recently, under the Obama Administration, the Cuba Trade Embargo and its associated travel restrictions have been relaxed somewhat, but the overall statutory framework remains in place. The Congressional Research Service Report does a good job of outlining what travel and remittances to Cuba are legally permitted — and not legally permitted — even today. Zachary Sanders traveled to Cuba in July 1998 and was stopped by Customs on his way back into the US, which put his name into the Treasury Department’s enforcement system. He heard nothing further from OFAC (Office of Foreign Assets Control, the part of Treasury that enforces the embargo) for two years. Two years after that trip, in March 2000, Sanders received a questionnaire from OFAC, entitled “Requirement to Furnish Information” (RFI), asking a series of questions about his travel to Cuba, including demanding itemized receipts for all expenditures in Cuba (all of which are presumptively illegal under the embargo) and other incriminating information, and threatening massive fines if he failed to respond within 20 business days. He made several phone calls to OFAC asking for more time, apparently because he had trouble locating an attorney to respond for him, and eventually failed to respond by the extended deadline. But he heard nothing from OFAC for another two years. Meanwhile, President Bush was elected, and ramps up enforcement of the Cuba travel ban. 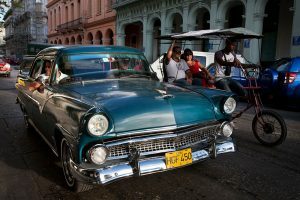 OFAC, which is also the agency responsible for counterterrorism money-laundering enforcement, begins diverting resources to Cuba travel enforcement almost immediately, and enforcement efforts become intense during the summer travel season of 2001. In late 2001/early 2002, OFAC revisits Sanders’ file. But by 2002 it was too close to the five year statute of limitations to go after Sanders for violations of the embargo itself — that is, for his 1998 travel to Cuba. OFAC’s informal position was that they had to be able to initiate a hearing (by issuing a document called an OIP) within five years of the violation or they would regard the case as lapsed. But his RFI was sent two years later than his 1998 trip. So once OFAC decided to go after Sanders, it made sense to go after his non-response to the RFI rather than his travel itself. So OFAC issued him a “Prepenalty Notice” (dated Feb. 13, 2002) indicating that the government intended to fine him for not responding to the RFI. He got a lawyer and requested a hearing. Nothing more happened for about two years. Sanders received an order sending his case to an Administrative Law Judge (ALJ) for a hearing to decide whether to impose a penalty in 2005. After a day-long hearing on June 27, 2005, the ALJ sat on Sanders’ case for years – presumably because he was troubled by the constitutional issues we raised ….. but didn’t really know what to make of them and was scared of the consequences of ruling against the government. So three more years pass, and then, just before he leaves his job, on September 4, 2008 the ALJ issues a decision fining Sanders $1000 for not filling out the form. In order to bring the constitutional challenges into federal court, Sanders had to appeal to an Treasury appeals officer – the “Secretary’s Designee.” This had been a formality in most cases where the ALJ had imposed a fine: you ask for review, they typically decide not to review your case, and you move on to federal court. Not here: the appeals officer granted review to the government, took briefing, and issued a decision on January 16, 2009, the very last (business) day of the Bush administration that raised Sanders’ fine ninefold – to $9000. There is hardly any reasoning in the opinion other than that the original fine was too low to discourage people from ignoring RFIs in the future. (However, as OFAC acknowledged repeatedly, anyone is free to “respond” by saying that they refuse to answer any of the questions in the RFI per the Fifth Amendment privilege, in which case there is no fine. Also, OFAC settled over 200 travel cases for a standard $1000 settlement from 2001-2004.) Although the original ALJ heard evidence of Sanders’ financial condition in deciding on the $1000 fine, there’s no indication the appeals officer took any of that into account. Mr. Sanders’ case finally ended in 2012 when he agreed to settle the proceedings. My client’s case could have resulted in a lengthy lawsuit as well, but I chose to first try and negotiate an acceptable settlement which would resolve the matter. After contacting a Treasury Department lawyer, and a few rounds of negotiation, I obtained what I considered to be a favorable settlement offer. The offer was attractive, especially when taking into consideration that even with free legal representation my client still would have travel and other expenses, as well as lost time, if the case went to litigation. My client agreed to the settlement amount, the size of which you can probably guess after reading the block quote above. While the ACLU did not get its test case from me, I believe that my client’s best interests were well served. What is the takeaway from this story? In 1998, my client went on a Church-sponsored bike trip to Cuba, and in response the U.S. Treasury Department went after my client for $10,000. Meanwhile, yesterday we learned (courtesy of Newsweek) that also in 1998 a company controlled by Donald Trump hired business consultants and sent them to Cuba. They were hired in order to scope out possible business opportunities if the Cuba Trade Embargo were to end. While there, these consultants incurred $68,000 in expenses for which they billed the Trump company and for which they were reimbursed. The size of this spending far exceeds the minor amounts that my client was alleged to have spent while on his bicycle trip that same year. They also were engaged in business activities, and not on a trip sponsored by a charitable or humanitarian organization (although documents obtained by Newsweek suggest that a cover story involving a charitable sponsor was concocted after the trip took place). Moreover, unlike my client, Donald Trump was an experienced businessman in the hospitality industry who knew in detail about what was and wasn’t permitted under the Cuba Trade Embargo (indeed, the entire purpose of hiring the consultants and sending them to Cuba was to prepare for the end of the Embargo, which presupposes knowledge of what was prohibited under the law). Therefore, this appears to be a knowing violation of U.S. law, which could have been referred to the Department of Justice for criminal prosecution had this conduct come to the attention of the U.S. government at the time. Since the story broke, the Trump Campaign has not denied any of the facts contained in the Newsweek story. Indeed, in an interview, his Campaign Manager Kellyanne Conway seemingly admitted that persons working on behalf of Mr. Trump spent money while in Cuba. She stressed that Mr. Trump did not “invest” in any Cuban business opportunities, which does not address the fact that merely spending money in Cuba (directly or indirectly) was a punishable offense. Her only defense was that this all occurred a long time ago. It is true that there is little likelihood of a present criminal prosecution premised upon conduct which occurred in 1998, because the statute of limitations for the violation of the Embargo has run. It may also be true that very few voters really care about whether or not Donald Trump violated the U.S. Trade Embargo with Cuba. The problem for Mr. Trump is that there are some voters who very much do care about punishing persons who violated the Cuba Trade Embargo. Those voters are Cuban Americans in the State of Florida, a state that Mr. Trump almost certainly needs to win if he is to defeat Hillary Clinton in November. The law in 1998 was really clear, of course. 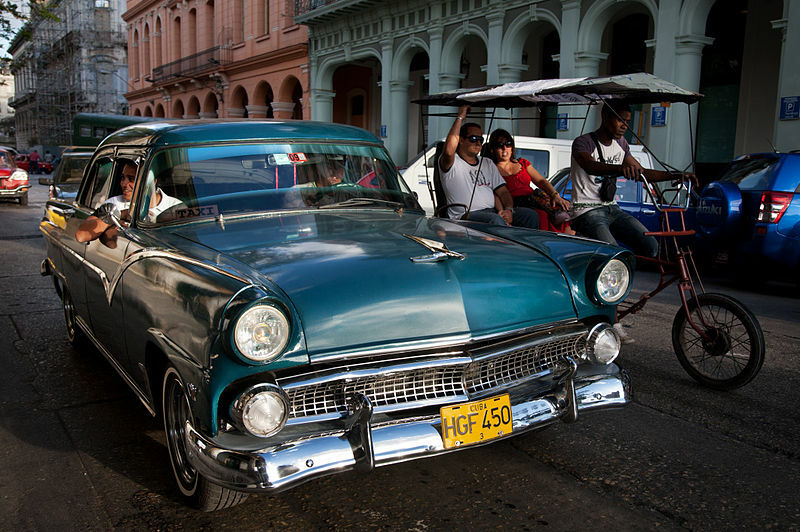 Any travel by U.S. citizens to Cuba had to receive advance approval and a license from the U.S. government. Next Next post: Welcome October Bloggers!